I get asked all the time: “I want to leave a review but HOW?” So here’s how to leave a review on ITunes on your phone? 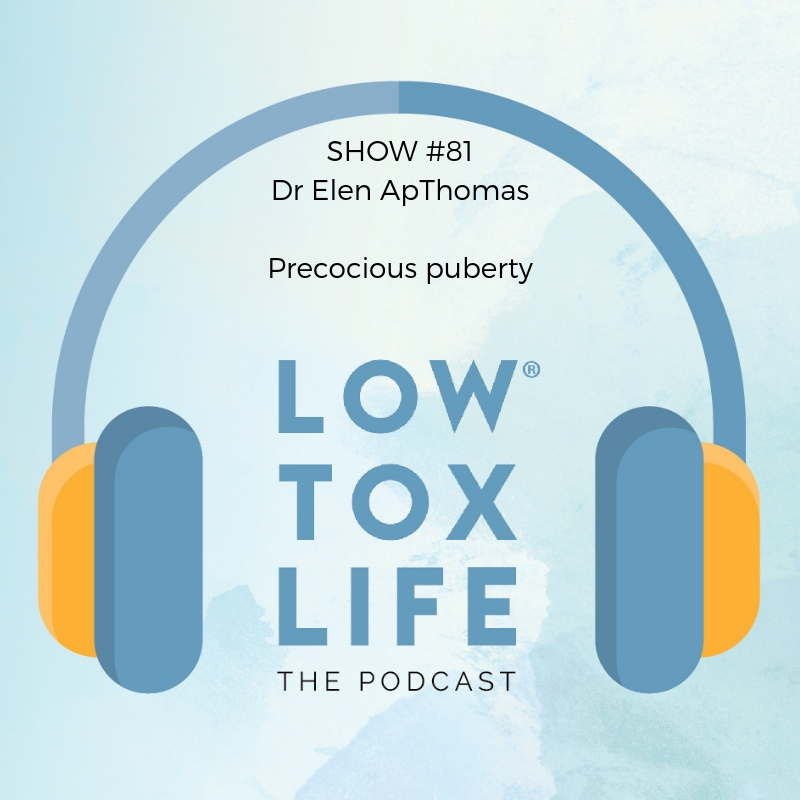 In this show I chat to Dr Elen ApThomas, an Integrative Doctor based in Queensland, Australia, about a topic that parents in the low tox community wanted to see on the show. We discuss some of the signs in girls and boys that early-onset puberty is occurring, when it’s worth investigating, when and how it’s possible to delay those early signs and some of the factors that science is starting to show, contribute to it happening in the first place, from our diets to our lifestyles. It’s a show designed to educate, not alarm and ensure that our little peeps are supported as they grow, whether they go into puberty early or not. The official age for puberty is 11 years old in girls and 12 years old in boys. Statistically, in the US, there has been a progression in girls entering puberty before the age of 8 (30%) and boys starting before 9 although it is more unusual for boys to show early signs of puberty. At a physical level, the first signs of puberty include the development of breast buds in girls then a slow progression towards the development of breast tissue, and testicular enlargement in boys. For both girls and boys, there will also be a development of pubic hair, then underarm hair accompanied by a change in skin and body odour too. Hair growth, skin change and body odour change can occur due to a hormonal imbalance without the breast or testicular enlargements. This can be due to a hormonal build up coming from the adrenal glands. When the body is ready for puberty, the pituitary gland in the brain releases special hormones that send signals to the ovaries or testicles. This communication between the brain and the rest of the body can get switched on early if exposed to a hormonal trigger like a thyroid imbalance for example. On the contrary, signals can also get turned off due to high levels of stress, low body weight or even a brain injury. Growth is affected by precocious puberty. By the time a girl has her period, no matter how old she is, she only has another 5cm of growth. If it comes on too early, the growth will be impacted. 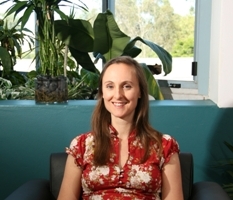 Nutrition and food play a big part in triggering early puberty in children. Poor levels of vitamins and minerals, too many highly refined foods which affect insulin production and too much animal products intake all play a part in precocious puberty. Chemicals in the environment are also a huge trigger for early onset puberty. BPA and phthalate are some of the main culprits to watch out for, as they leach out (especially when heated up) and concentrate in the body. Lack of exercise which is linked to lower levels of melatonin in children, can also bring on puberty earlier. In order to prevent precocious puberty, it is important to pay attention to the food children eat: the meat should be hormone free and fruit and vegetables should be pesticide free /organic as much as possible. If puberty came in early, if the trigger is a chemical in the environment and you catch it early, it should slow down or switch back off again. It depends on how easy it is to find the trigger. Being supported emotionally is important – whether puberty comes early or on time, children should be explained what goes on in their bodies at that time in order to handle that process of change in a better way. Looking at the food, cutting back the meat, increasing the vegetables and nutrient dense foods in the diet will help slow down the process if puberty comes on early. Zinc and selenium are essential in children’s diet. Selenium is plentiful in brazil nuts, zinc is found in pumpkin and sunflower seeds and most proteins. Sweat is also a great detoxification pathway if they’ve been exposed to toxins. If we don’t have enough good bacteria in our intestines, we will re-absorb a lot of the toxins that our liver has worked to kick out of the system through the bile. A good form of probiotic is crucial to help support children’s health. To asses where your child is at, go and talk to a professional trained in assessing hormones. Sometimes a blood test may be required when body odour or greasy skin/acne are quite extreme before the age of 8. Checking FSH and LH levels, oestrogen and testosterone can be measured if breast elargement or testicular enlargement is present at an early age. If you’d like to understand how to assess the quality of your meat, check out show #6 with regenerative farmer Paul Grieve or show #71 with NZ regenerative farmer Jodi Roebuck. I also talk about tips for affording organics in show #47. Enjoy the show and thanks again for taking the time to rate and review the show – it’s like tipping the bartender and it means the world. Hi Alexx, very interesting podcast on puberty. I wonder what your thoughts are on the can lining of canned food? My 7yo daughter wants the same thing every day for her school lunch and it includes canned corn. I got to thinking about this, and think I’ll switch to cooking batches of frozen corn to reduce possible BPA etc? Fantastic podcast! So informative and it made it so clear what is going on with our daughters. I have a 10 and 8 year old daughter and appreciate all this information.